We are closing out 2017 and kicking off 2018 with some HUGE news! 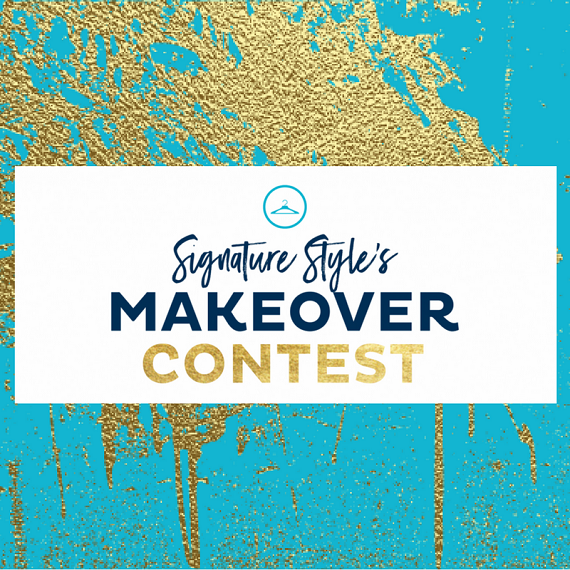 The Signature Style Makeover Contest returns today! We did it to celebrate our one-year anniversary and now we are bringing it back to celebrate five! We’re giving away complete makeovers to one guy and two gals in the Houston area and you don’t want to miss it. This all started with our website makeover (we got a makeover so why not give away makeovers!). If you haven’t seen it, take a look around! Would love to hear what you think. Digitalemonade and Bearded Dog Designs helped me give it a fresh look and in the process added some new elements, made the mobile view a 100,000 times more responsive, and now we’re sharing more about services and providing more resources for you (what I’m loving, a better blog experience, and style content when you sign up for my newsletter for starters). Then it grew from there thanks to Anna and her clubfoot story. Not everyone has access to the comparatively easy treatment we had access to here in the States. We want to help make over kids’ lives. So we are starting with a makeover contest and ending with a celebration to showcase the winners at our five-year anniversary party which benefits CURE International. This contest was originally planned for September but as with the rest of the city, our plans changed thanks to Harvey. Turns out the timing couldn’t be more perfect. Today is exactly one year from Anna’s first Dr’s appt and treatment session for her clubfoot. Before the hurricane wreacked havoc on everything, we went on Houston Life to talk about our story, the contest, and what we are doing with CURE International. Go to our Makeover Contest entry form. Complete all the fields + upload a pic of your closet and a full-length photo of yourself. Follow us on social media (Instagram + Facebook) to learn more about each sponsor, see the winner announcements, and see all the great Signature Style content you’ve come to expect. [Not required for entry] but if you feel compelled, we would love for you to donate to CURE directly. All the proceeds from our Makeover for Life event, where 5 years + clients will be celebrated and and makeover winners showcased, go directly to CURE International. 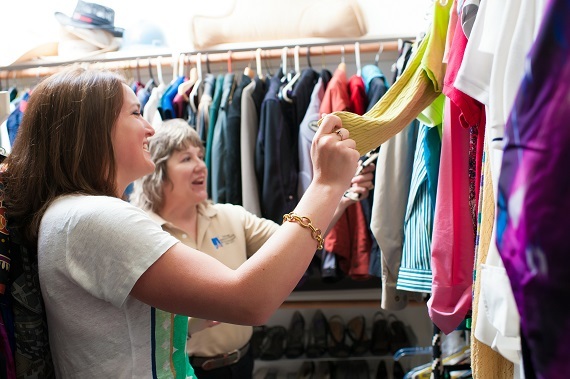 A full closet edit, complete with body shape and color analysis, leaving you with a closet full of well-organized, perfect-for-you styles and a shopping list for smart future purchases. A new ‘do from Tease Hair Salon – cut and color carefully selected to most flatter your features and personal style. A complete outfit from Monkee’s of Houston, Miles David, or Bonobos (for the guys!) depending on personal style and body shape. Ladies – makeup in your coloring and day-of makeup application from Hollywood Hippie. A luxury wood watch from JORD Watches. Before and after photos from Judy Francis Photography. If you’ve seen What Not To Wear or some other such makeover/style savior type show – this is nothing like that. ;-) I will not be descending on your closet shaming, blaming, or otherwise criticizing your style and closet (however messy and disheveled). I, along with the sponsors, am committed to helping the winners look and feel their best and showcase the best version of themselves. If you know me/follow me on social media you know that’s not my style but if a friend told you about this contest and you are seeing my face for the first time, please know my closet and style has been a train wreck before. I learned how to get out of it and I want to do the same for others in a fraction of the time + leave you with all the lessons I’ve learned. So if you or someone you know needs a pick me up, wants to start the year off with a new look and some beautiful clothes, and just have a really fun time, sign up on the form below or pass it on so you can share it with someone else! Jord, one of our makeover sponsors and silent auction donors, is giving Signature Style readers an exclusive discount of 25% off any purchase through Jan 7th. If you don’t want to share your potential winnings but want to be ahead of the game for Valentine’s and the next wave of birthdays – get on it! You don’t have to wait until the anniversary party to donate to CURE. Here is the direct link to donate to our Makeover for Life CURE Clubfoot campaign. $400 makes over a kid’s life forever. I can’t wait for you to see the new looks. I can’t wait for you to learn about CURE. I can’t wait to change these kids’ lives. We are accepting entries through Jan 8th. Tell all your friends!